Categorizing products is a very common scenario. 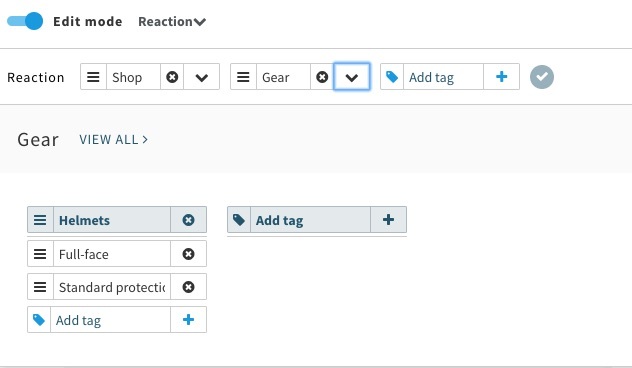 Reaction Commerce offers a very flexible way of clustering products via tagging. 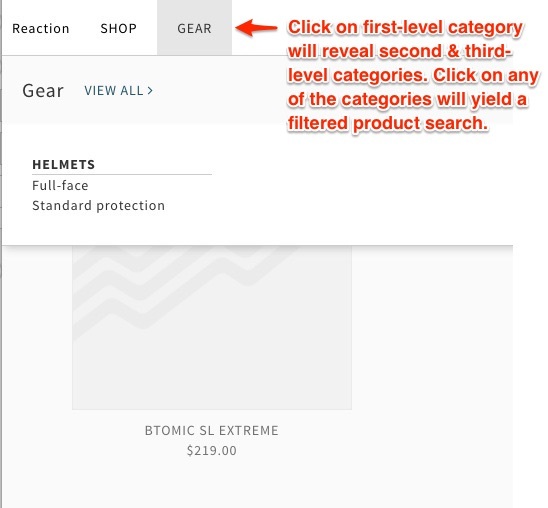 Reaction Commerce does offer out-of-the-box functionality to build product hierarchies with categories and sub-categories, although it's important to understand that tags are specific on a product level, i.e. they do not apply down to individual variants of a specific product (or even options of variants). 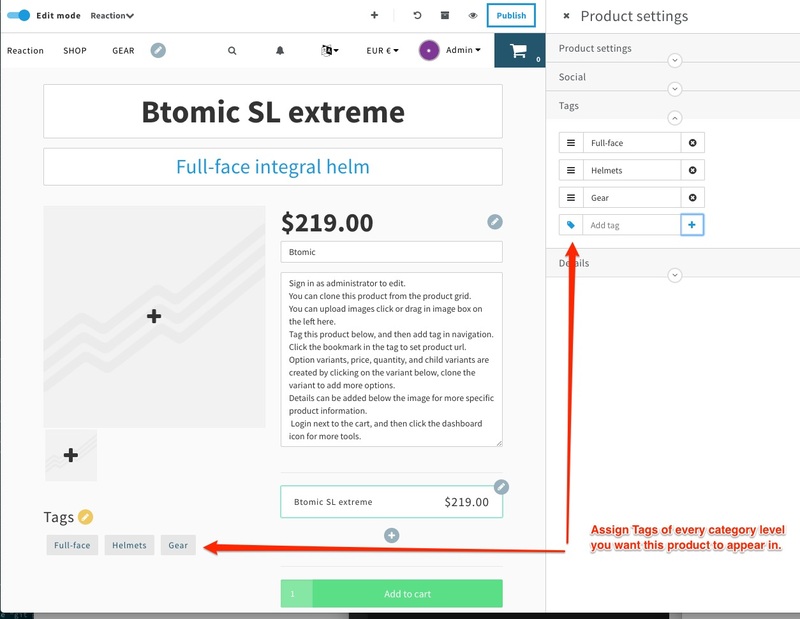 After creating the tags (read: product categories), we need to tell the products which category they belong to. If you like your product to be found regardless if one searches for a category that is a direct parent or an indirect ancestor, you need to ensure that the product gets assigned all tag names up to the root tag assigned. After publishing the changes, shop visitors will be able browse product categories via navigation bar.